You'll be able to do a lot more with your Samsung television next year. 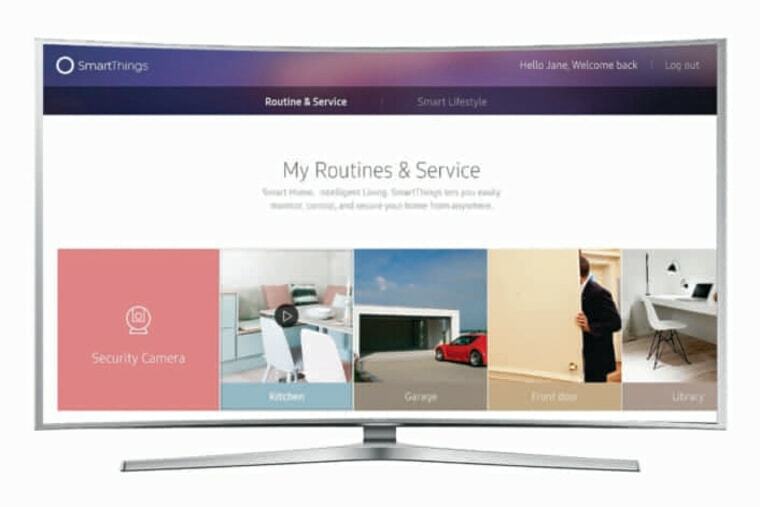 The Korean tech giant on Tuesday announced that all of its web-enabled Smart TVs in 2016 will also serve as hubs for its SmartThings platform — a way to connect Samsung's smarthome products, such as coffeemakers, light bulbs and security cameras, to a wireless network. That means users will be able to control various web-enabled devices through their TV sets. "With Samsung Smart TVs working with the SmartThings technology, we have an opportunity to reach millions of households," Alex Hawkinson, CEO and co-founder of SmartThings, said in a statement. "Applying this technology into current household devices is a major step forwards that will make it much easier for everyone to experience the benefits of a smart home." Adding the functionality into TVs may get SmartThings into a lot of homes in 2016, but Samsung remains far from the only player in the Internet of Things market. Apple is working on similar smarthome capabilities with Apple TV, and Google has similar plans with its own new wireless router. Christina Medici Scolaro is a producer at a CNBC.com. She produces original content and shows for CNBC Digital Workshop including "Save Me", "Tech Yeah!" and "Big Data Download". Before joining CNBC, she was a producer for Bloomberg Television. You can follow her on Twitter: @christinascolar.